and American Wrestling Association, or WCW and WWC where he established his legacy. 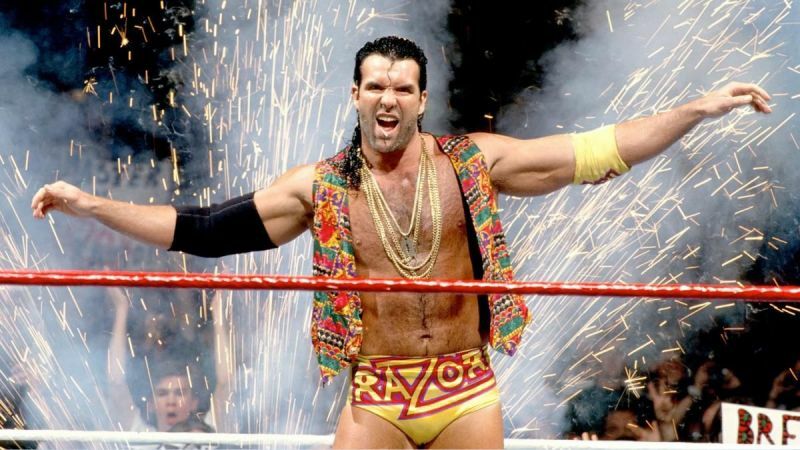 injury.When he joined WWE in 1992 he immediately got a huge push as Razor Ramon. Ramon&#39;s gimmick was that of a shady Cuban American bully modelled of the movie Scarface. Ramon took up the nickname The Bad Guy and referred to himself in the third person. His first appearance was in a dark match against Chris Hahn and his first ring debut was in 1992 in Superstars, winning against local jobber Paul Van Dow. WrestleMania, pioneering for the first time that the ladder itself could be used as a weapon. Shawn Michaels in another Ladder Match where Michaels won. given consistent pushes. After leaving in ’96, the duo returned to WWE in ’02 for a brief run. Razor Ramon and Diesel left WWE in 1996 and went to WCW for better pay. There they were the outsiders, and with Hulk Hogan, established the New World Order. NWO was one of the best things in wrestling for a long time and if it had been little more controlled would have been the reason WCW beat WWE. Unfortunately it became too big and WCW lost control. and used their influence backstage to almost never lose and stay in the main events. alcohol abuse. But thanks to DDP and his yoga, he is staying sober and living a healthy life now. Just Terrible: 10 of the worst gimmicks in wrestling history.